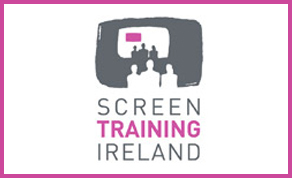 One day workshop on the business of film festivals including case study, and interactive session with DIFF's Grainne Humphreys. Around 4,000 film festivals are active worldwide every year and over 10,000 have run at least once in the past 15 years. Festivals, often combined with markets and Labs, are the key way to promote your work and can also act as a distribution system. Understanding how to create and deliver an effective film festival strategy is vital to getting the most out of your film, whether short or feature. Knowing which festivals work best for your film, together with strong support materials like a press kit/ photos/ social media, and memorable loglines and pitches, is the very best way to sell yourself and your next project. The morning session will cover info and prep needed to get into the best festivals for your film. Utilizing what has been worked on in the morning session, an interactive session in the afternoon with Grainne Humphreys, the Director of Dublin’s own major International Film Festival, will give you the chance to pitch your projects while learning from the inside, how festivals work and what factors affect which films get chosen. An emerging filmmaker will talk about his/her work and how s/he succeeded at several major festivals and set up her/his next film. Writer/Directors and Producers, who have a completed a short film/feature film or are planning to make one.